I was working as a barman on the weekends in Drummonds, picking up a few shifts a weekend on top of my kitchen hours for extra beer tokens. 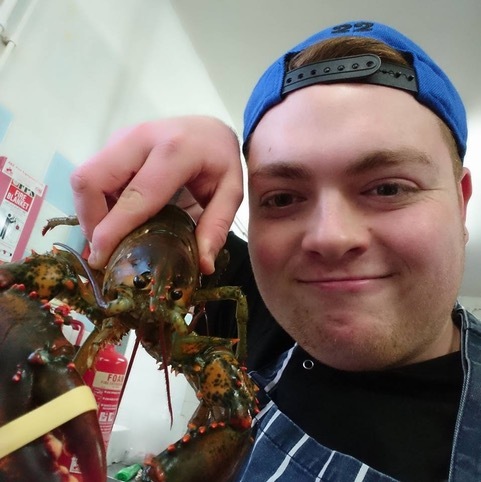 The owners knew I worked as a chef, approached me and persuaded me to join the business full time. What achievements, awards or accolades are you proud of? They’re all hopefully yet to come. I’d probably say my NVQ Level 3 in general patisserie. It made me sharpen up a lot of skills that I didn’t necessarily know that I had. Any news announcements, or events that you’d like new and existing customers to be aware of? We will be launching our new menu on Easter Sunday, adding a few pub classics and pizzas to our menu staples, including more vegetarian and vegan options. The Swan has always had it’s own way of doing things. Throughout the years it has been home to several different groups of individuals, from bikers and hippies to where we are now. Not many pubs can boast the large bar and dance floor that we have to offer in Drummonds. Also we’ve got quite a range of craft beers and gins to tempt people out of their comfort zones with their taste buds. That’s not even mentioning the food! Favourite restaurant to visit if you get a night off? I love trying places I haven’t been before, so I’m always on the lookout for something new. Apart from that I do love a good Chinese, so Ruby’s in St. Johns offering a cooked-to-order all you can eat buffet definitely does me. I watch a lot of Japanese anime, although I’m not really a big fan of TV. I’ve been re watching a series called Space Dandy which is about a hapless alien hunter. Which person in your life do you most admire and why? My Dad without a question. When you’ve been through what he has and come out smiling that really takes something. I bought my girlfriend a walking ghost tour experience. I don’t believe in the supernatural myself, but I’ll be tagging along trying to scare her all night. What’s your favourite smell in the whole world? I love the smell of slow cooking meat. It just develops over time as different spices or sugars start cooking and before you know it the whole house is full of it. What’s your favourite kind of sandwich? Obviously one of the Cuban sandwiches on our menu! In all seriousness, it’s hard to beat a good simple toastie. Who would you want to cook your last meal on earth, and why? Someone who knows what they’re doing! I don’t follow celebrity chefs as much as I probably should, but I do occasionally watch clips of Action Bronson or Matty Matheson, they like to push the same boundaries as I do. Without a doubt it’s got to be not listening properly. People seem to value conversation less nowadays, and talking to someone can really seem like a distraction from whatever app they’re scrolling through. You can’t ask a chef this question, how am I supposed to pick just three? I’d probably say bread, eggs and meat. Unfortunately I haven’t really got one. I finished in the top 50 on FIFA in a weekly online tournament once, but apart from that I’m still waiting. Which food & drink business (other than your own) do you wish you had created? It’s cliché but to just be yourself and to stay true to your beliefs, no matter how hard that may seem sometimes. Just because you don’t fit in somewhere doesn’t lessen you as a person, you just haven’t found the right surroundings for yourself. If you could be anywhere else right now, where would it be? Asia. Never been, but would love to experience a cultural shock and see just how different life can be. I had my first driving lesson. I always said that I would wait until my current age to learn, so it was nice to finally make a start on it. I couldn’t afford a car when I was turning 17 and I didn’t expect my parents to pay for one, so its great to finally be in a position where I can. Name a product or service you love so much that you’d happily be that company’s spokesperson. Cillit Bang. Imagine stepping into Barry Scott’s legendary shoes. I wanted to be a zoologist. Growing up I was always watching animal documentaries about anything and everything. What is the perfect combination of pizza toppings? I think pizza can be whatever you want it to. I used to work with an elderly Italian woman who would always be making pizza. In Italy pizza varies massively from region to region, even village to village. Her town was famous for making pizza with sardines, garlic, olives and oil, in a focaccia style. No cheese, no tomato, which to most Brits makes a pizza. What was the worst job you ever held and why? At school I used to help out at a friends Dad’s factory in the holidays. They used to make cool parts there like the casing for flash bang grenades, or the grilles of Landrovers. We used to do all kinds of bits and bobs, but one time I spent two weeks measuring the lengths of springs coming off the production lines. That was a long fortnight. I had a pizza for dinner last night, nothing fancy just whatever I could throw in the oven with minimal effort when I finished last night. It sounds bad but it’s Paddy Power. When I’ve not got a bet on I’m still checking on the website because the scores tend to update on there the fastest. Cooking. I don’t really have a party trick. The health of me and my loved ones. As long as that stays, I’m happy. And finally a question from those who are married to you…When are you coming home? NEVER! No, my girlfriend works with me as the pub manager so we never really leave home to be honest. We just take it to work with us. Newly renovated, The Swan on Worcester’s New Street is an independent, free house serving up food from the soul! 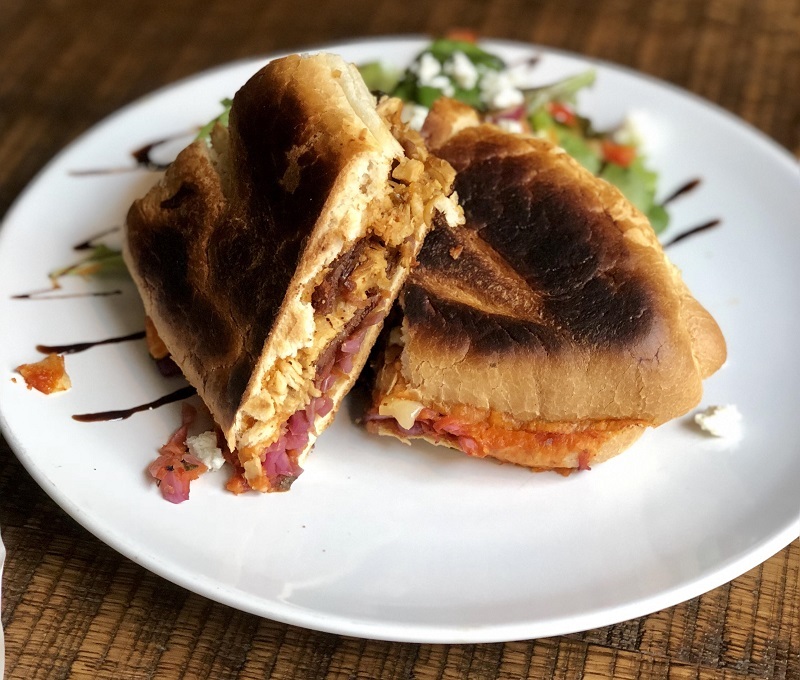 With all ingredients being locally sourced and an exclusive partnership in place with Ma Bakers, The Swan is delivering some of the finest food in Worcester City Centre, boasting a menu consisting of mouth watering burgers, small sharing plates and Cubanos sandwiches (special shout out to the Mac N Cheese Balls!) there’s a little something for everyone! The Foodie Card offer – 20% off food bill Tues – Fri (not in conjunction with any other offers). Previous Post11 Afternoon Tea Offers with The Foodie Card not to be Missed!